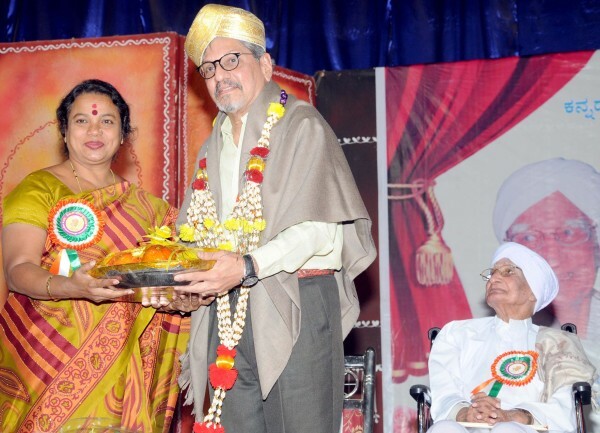 Veteran theatre personality Enagi Balappa was honored today at Kumar Gandhrav Rangmandir by MoS Umashree and noted theater artist Amol Palekar. 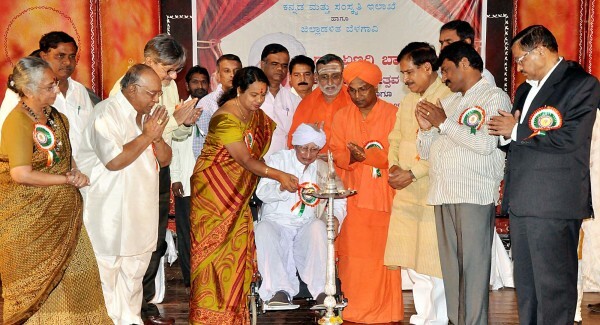 Balappa is celebrating his 100 years this year and the District administration had organized this felicitation. Ballappa is the one who proved that theatre can be an essential tool for social transformation.